It is also crucial for their rapid physical growth and to develop the ability to fight off infections. This will help their delicate skin to remain soft, supple and healthy throughout their lifetime. We’ve beamed with pride every time he/she crossed a new milestone, and it’s all thanks to the head start that we provided. First Step : Proper Cleansing, why it is very important ? Cleansing their skin is a basic & most important daily task to maintain the proper skin care procedure and achieve the healthy, firmer and rash free skin. First step in Newborn’s skin care routine is to cleanse their delicate skin the better way. Proper cleansing is a boon to their skin and cannot be neglected as it can addresses the harmful signs like rashes, redness, dullness, dryness and lack of moisturisation. It is very crucial to do proper cleansing to their skin in the right way and in the correct manner. The most important step is to always choose the best pH balanced products for them. My Younger son Virat is very allergic to skin infections. No matter how much precautions I take, his skin gets easily infected with dirt, dust and pollution, when exposed to air and sun. To overcome this situation, the only skincare brand I always rely upon from starting is Sebamed. It’ a very popular brand which needs no introduction when it comes to baby’s skincare. It’s the World’s pioneer of pH5.5 Baby skin care products which can be trusted to be used from Day one. Sebamed is a German brand of skin care products with over 50 years of experience. Sebamed products are developed & recommended by dermatologists in over 85 countries. Sebamed baby products have pH 5.5 which develops the acid mantle necessary to protect the baby’s delicate skin. I only trust Sebamed ph balanced Products For My Son. 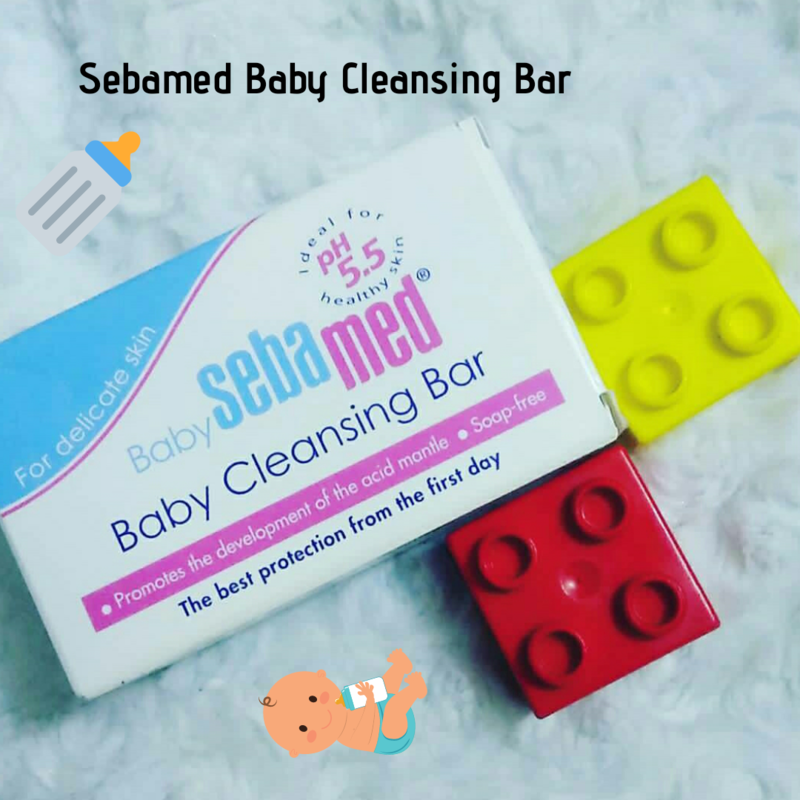 When it comes to cleansing his skin, I only use Sebamed Baby Cleansing bar ! 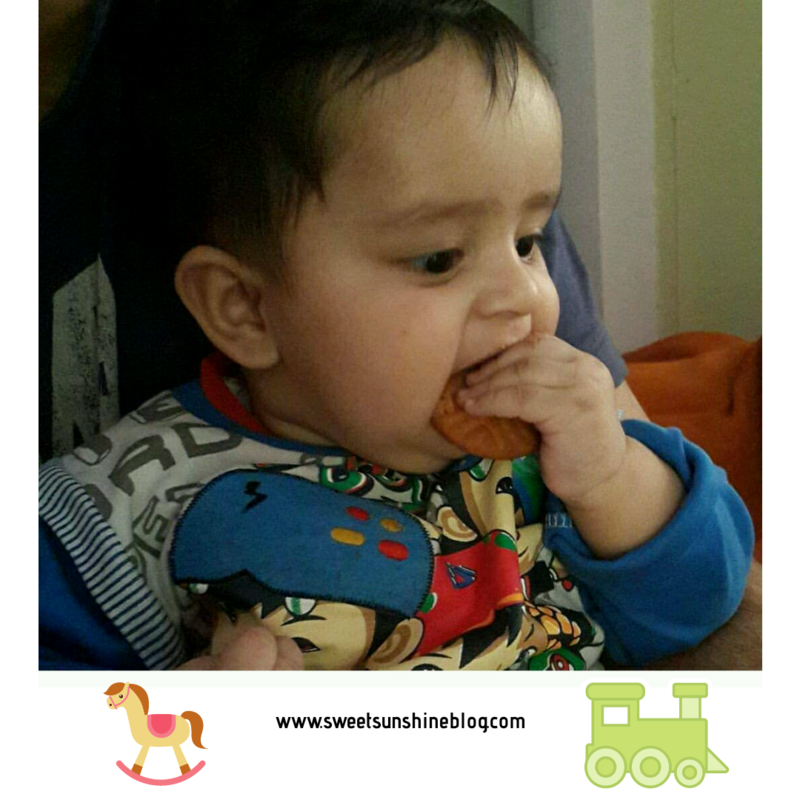 From starting till date, we are highly impressed by this mild and gentle soap-free formula ! Sebamed baby cleansing bar is mild and gentle soap-free bar for your baby’s skin. It Contains sodium cocoyl glutamate and amino acids which helps in keeping your baby’s skin soft and healthy. It also contains the natural skin-related sugar insulin and Panthenol to moisturise and regenerate your baby’s skin. Vitamin E, which helps in soothing the skin, also contributes to keeping your child’s skin supple. This soap-free bar will provide complete cleansing and nourishment without drying out, thanks to its pH value of 5.5. This baby cleansing bar is 100% alkali free and helps in stabilising the moisture balance of the skin. Even if your baby is suffering from some skin disease, you can use this cleansing bar without any worry as it has skin tolerance property. It gives complete pore-deep cleansing, which helps in combating pimples, blackheads and skin impurities. It Retails For Rs. 265 for 100gms bar and are easily available across all online and offline portals ! Why is pH level so important in new born baby’s skin care ? The pH of water is 7 which is neutral. Normal, healthy skin has a pH of 5.5 which is slightly acidic. Sebamed products have a pH of 5.5. All their products maintain a pH value of 5.5. Newborn Babies are born with a skin pH value of 7. The acid mantle which protects the baby’s delicate skin takes upto 3 months to develop, the pH of the skin then becomes 5.5. pH neutral products are not a friend of your baby’s skin. Any pH value other than 5.5 can severely damage their sensitive skin. ph 5.5 leads to soft and smooth skin, aids in skin renewal and imparts a healthy glow to the skin and guards skin from infections. To protect & maintain your baby’s smooth, supple skin, all Sebamed products guarantee a strict sustainability of the pH value 5.5. Their products have been developed by dermatologists to meet delicate skin specific needs. Their products are the safest with only 0.0003% cases of irritation which ensures yours baby’s skin remains truly pHenomenal and has the best protection from Day 1. Choosing the right skincare and bathing products for baby’s delicate skin can be a task. But sebamed is definitely the most reliable brands in this case. I have not heard about the brand but sounds very gentle for sensitive skin. It’s so important to use baby specific products on newborns so we do not disturb the balance of their skin with harsh products. Although I haven’t tried any Sebamed products for my son but have heard a lot of positive reviews from friends who use Sebamed for their babies. Also, I didn’t have any idea about the pH balance of the baby’s skin and how high or low ph balanced products can damage their skin. Thanks for sharing this info. Looks like a great brand for babies. I will definitely suggest sebamed to my sister for her baby. Amazing and beautiful post. Sebamed is the trusted brand. Sebamed skincare products are best for the toddlers. These products are best for the delicate skin of the kids. Great thoughts. Baby cleansing bar sounds great. These products and processes are very much required for a baby and his/her proper caring.